In many high speed applications, customers require strain gauge testing to ensure their fan can tolerate the application in which it is being used. This test involves utilizing a series of strain gauges that are applied in the largest stress concentration areas. 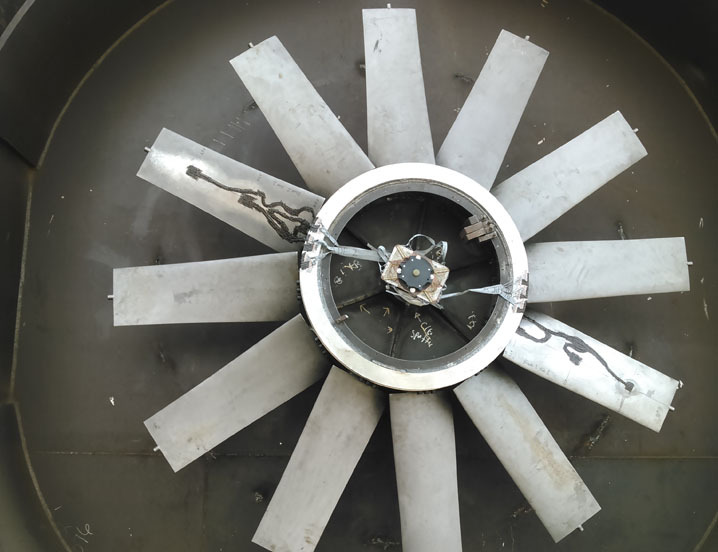 By running the fan and measuring the strain, we can determine if there is any deformation in a fan wheel during operation. Strain gauge testing is a specialized procedure that requires careful attention to detail by a skilled and experienced technician. TCF is able to perform strain gauge testing at both our test lab and our manufacturing plant in Pulaski, TN.